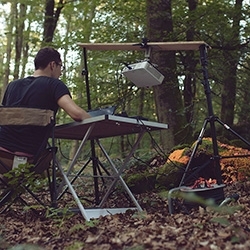 VIDEOProjections in the Forest, by artists Friedrich van Schoor and Tarek Mawad, imagines what plants, mushrooms, and even frogs might look like if they were bioluminescent. 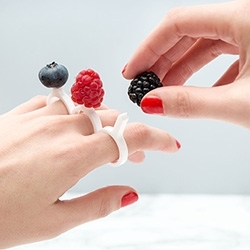 Tour de Fork - playful laser cut rings meet culinary deliciousness. 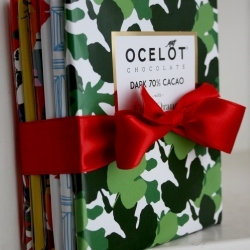 A gift set of chocolate bars made by Ocelot Chocolate. Awesome packaging and flavor combinations, plus they're all natural and organic. 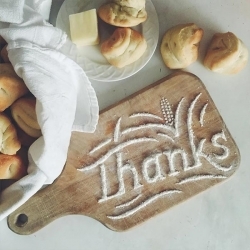 Food Typography by Utah-based artist Becca Clason. 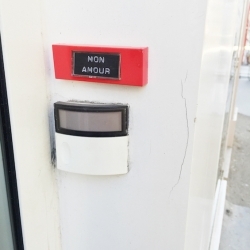 Le Sonneur is a french street artist who sets bells on doors along the streets. Those bells have the names of famous heroes of pop culture. And then you learn that Batman, Hannibal Lecter, Marty McFly and Darth Vader are among your closest neighbors. 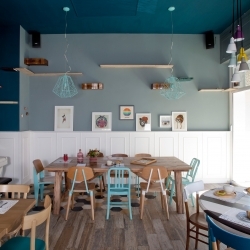 Romeow Cat Bistrot concept comes from Japanese Neko Cafè and European Cat Cafè, and arrives in Rome as a bistro, with sophisticated vegan and raw cuisine and pastry, open from breakfast to after-dinner, where 6 cats live. 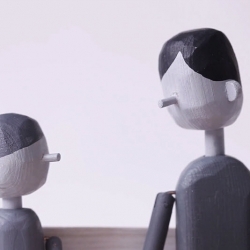 VIDEODIS \ CONNECT by Doug Hindson, a semi-satirical coming of age story told by handmade wooden puppets. 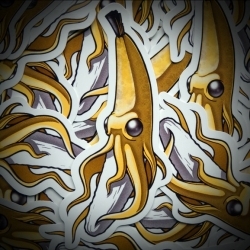 VIDEOSarah Horne - IKEA’s Children’s Illustrator in Residence! 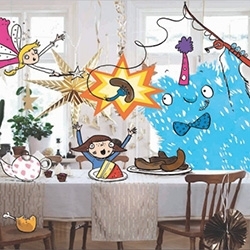 From drawings superimposed over IKEA catalog graphics, IKEA brings her on to inspire kids in store! 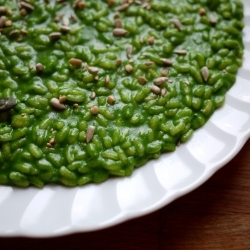 PanBagnato's recipe for Il Risotto con Succo - a new type of green risotto with juice. 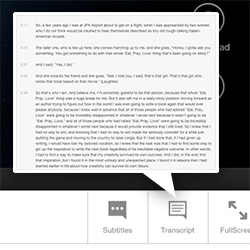 Transcript Button on TED Talks. So nice to speed read thru a talk. Nice quote from Elizabeth Gilbert "The only trick is that you've got to identify the best, worthiest thing that you love most, and then build your house right on top of it and don't budge from it." 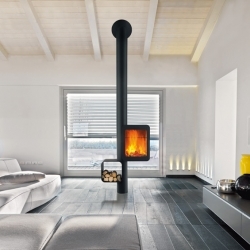 'Grappus' Wood stove by designer Thibault Désombre for Focus Création. 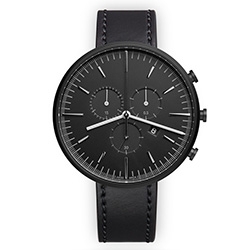 The M42 in PVD Black by Uniform Wares is a stunningly simple triple register chronograph made in Switzerland. 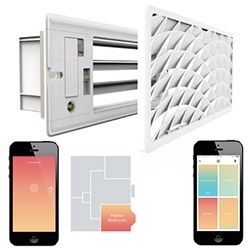 Keen Home - IoT system to control your air vents depending on which rooms are warmer or cooler. 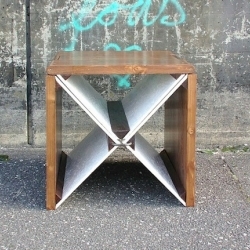 Interesting air vent designs as well. 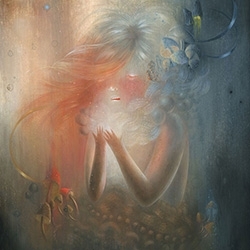 Kelly Denato has some stunning new paintings at The Cotton Candy Machine's latest show, Bunnycutlet Presents 7 Artists Group Exhibition in NY. 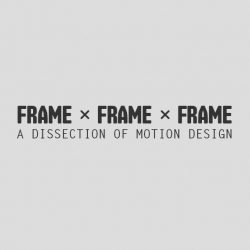 Frame by Frame by Frame is a site dedicated to dissect the great work of motion designers - frame by frame, to learn their craft secrets and get inspired. 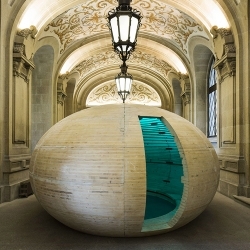 OVO is a wooden structure designed by Camilo Rebelo to host Semente, a sculpture by Rui Chafes, in the basement of a home in the Swiss Alps, now on view in the atrium of Oporto’s City Hall. 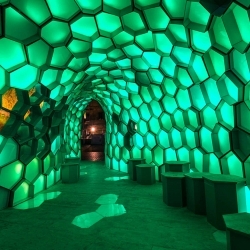 Cellular Tessellation - A doubly curved surface brilliantly shines at Vivid Sydney. A light installation from the Bond University Abedian School of Architecture advances digital fabrication and solar energy. 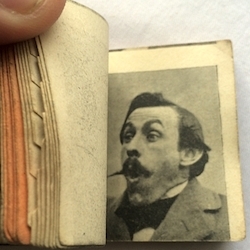 100 years of flip books, from advertising premiums tossed in boxes of cereal to quasi-porny publications. 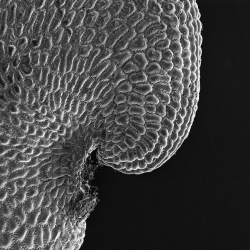 Dizzy Jewelry Collection for Stilnest is inspired by the Moiree effect. 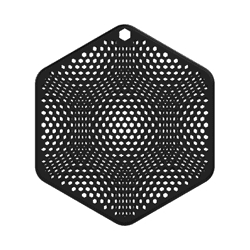 In particular the earring with a simple circular or hexagonal outer shape that is constantly moving, comes alive. 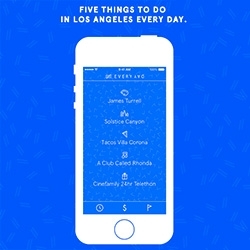 5 Everyday - a simple app that gives you 5 things to do in LA everyday - Art, City, Food, Music, and a Wildcard. From Silver Lake Band YACHT. 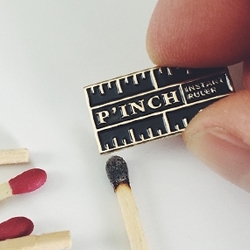 The P'inch enamel pin by WKRMN accurately measures any object down to 1/16". It's the only portable ruler you'll ever need! Easily attaches with a butterfly clasp. 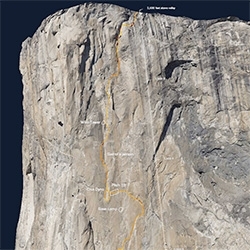 The Dawn Wall by the New York Times is an interactive look at Tommy Caldwell and Kevin Jorgeson's historic free-climb up El Capitan. 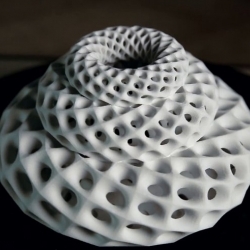 VIDEOJohn Edmark's 3D printed Fibonacci Zoetrope Sculptures are designed to animate when spun under a strobe light. 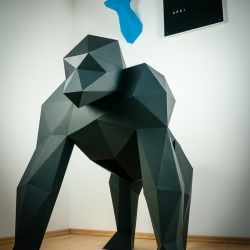 The rotation speed is synchronized to the strobe so that one flash occurs every time the sculpture turns 137.5º—the golden angle. 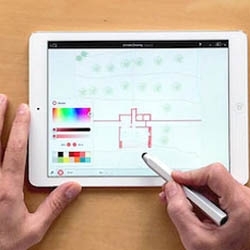 The Archisketch app takes scale into account to and scales your sketches to the real world. 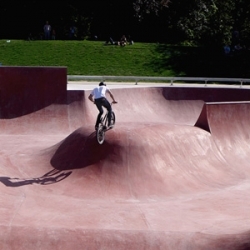 Skatepark in Reims designed by Reims-based Planda and specialist skatepark firm Constructo, it’s one of the biggest skateparks in the North East of France at 2055 sqm. 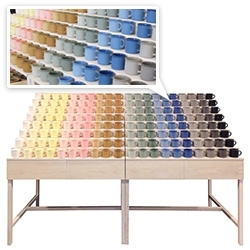 Atelier Dion - beautiful ceramics, great display of their rainbow of mugs! Wish upon a blizzard. 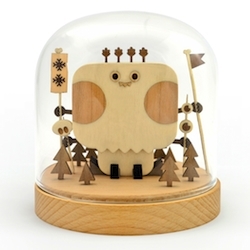 Wooden Snow Shaman by Tado, for Everyday Mooonday Gallery in Seoul. 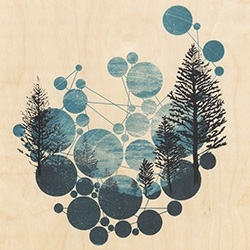 New Antlers 'No Such Cold Void' print looks stunning on wood! 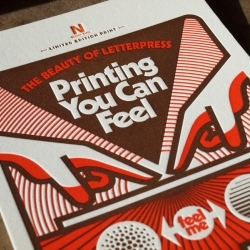 "Touch Me, Printing You Can Feel" Aaron Draplin designed the latest, limited edition print for the Beauty of Letterpress project by Neenah. 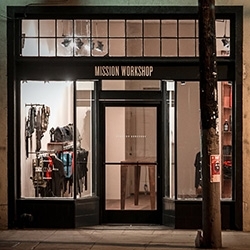 Mission Workshop now has a shop in Silver Lake! 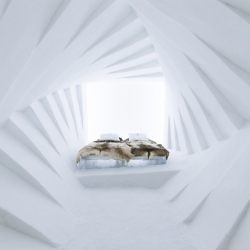 The ICEHOTEL in Jukkasjärvi has celebrated its silver anniversary opening its reindeer clad doors for the twenty-fifth time. 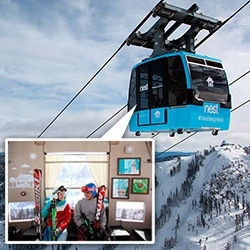 maximizes space in small living places. 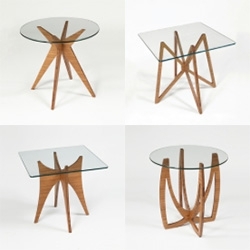 Common items can be stored inside and it can also be folded out to be used as a table. 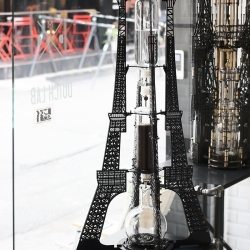 Inspired by the french beauty, the Eiffel Tower, Dutch Lab presents massively detailed Eiffel 2000mL: the cold drip coffee machine. 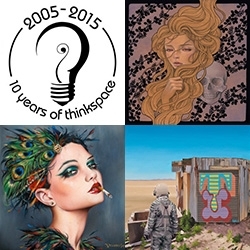 Thinkspace's 10th Anniversary La Familia Show opens tonight! Looks like it is going to be a fantastic show with over 100 artists doing 10×10 inch works on panels provided by Trekell. One Piece Onesies... the super cozy full body sweatpants/hoodie alternative? 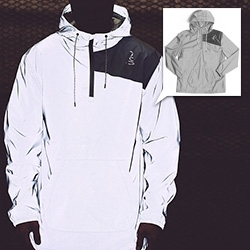 In regular/slim zip down the front, to the Joey that zips between the legs. 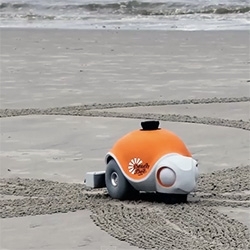 Baby ones are adorable. 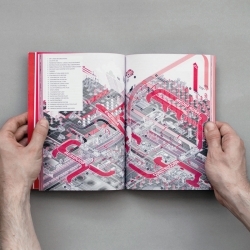 Cuarto: Architecture Playground, interesting new magazine focused in developing tools for the dissemination of architectural thinking and processes. 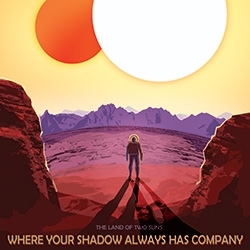 NASA has great travel posters for Kepler-186f, HD 40307g, and Kepler 16b... maybe someday we can really visit them! 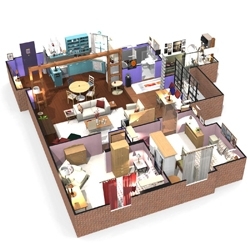 Amazing 3D plans and 360° apartments of famous TV series like Friends, How I Met Your Mother and The Big Bang Theory. 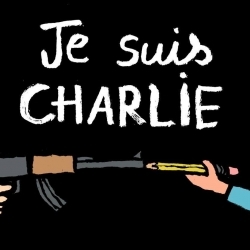 #jesuischarlie | The creative support of Jean Julien and many other artists of the Charlie Hebdo drama in Paris. 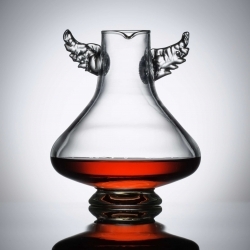 Putting a literal spin on your flight of wine, the Icarus Decanter from Australian artist Emma Klau looks like it may have been sent by the gods.